Top seed Novak Djokovic is set to meet old-time rival Rafael Nadal in the final of the 2019 Australian Open at the iconic Rod Laver Arena. Australian Open 2019 Live Streaming: It can easily be touted as the ‘Clash of the Titans’ as world number one Novak Djokovic will take on world number two Rafael Nadal in the men’s singles final of the Australian Open at the Rod Laver Arena on January 27. The pair last met in a final in Melbourne in 2012 – when the Djokovic won after a six-hour epic battle in five sets (longest Grand Slam final in history). On the back of one-sided semifinals victories, both Djokovic and Nadal pack their bags to throw ammunitions at each other for the 53rd time in their illustrious careers. Djokovic leads head to head 27-25, while Nadal holds a 4-3 win-loss record against the top-ranked Serb in majors finals. The Melbourne Park will once again have prima facie visuals of a modern-day classic. Sunday promises to be a modern-day classic between two men who have not learned how or when to give up. A win for Nadal will see him become the first player in the Open era to win all four Grand Slam titles twice, while victory for Djokovic will take him clear of six-time Melbourne winners Roger Federer and Roy Emerson. When is the Australian Open 2019 men’s singles final between Novak Djokovic and Rafael Nadal will start? The men’s Australian Open final will take place on Sunday, January 27. What time is Australian Open 2019 men’s singles final between Novak Djokovic and Rafael Nadal will start? 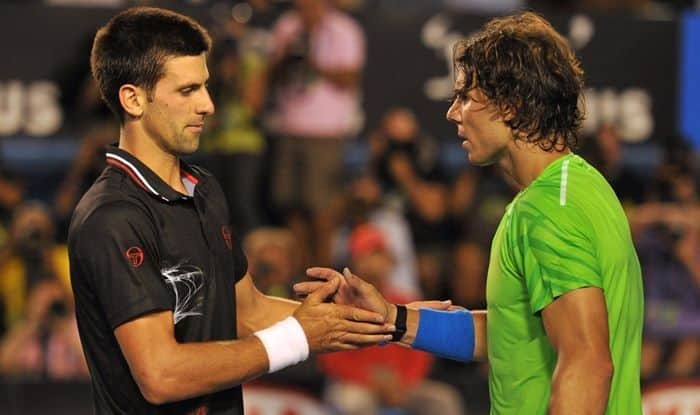 The Australian Open 2019 men’s singles final between Novak Djokovic and Rafael Nadal has an approximate start time of 8.30am (GMT) on Sunday, January 27. However, the match will start at approx 2 PM (in India). Where is the Australian Open 2019 men’s singles final between Novak Djokovic and Rafael Nadal will be played? The Australian Open 2019 men’s singles final between Novak Djokovic and Rafael Nadal will be played at the historic Rod Laver Arena, Melbourne. Where I can catch the live TV broadcast of Australian Open 2019 men’s singles final between Novak Djokovic and Rafael Nadal? Sony Ten 2 and Sony Ten 2 HD, Sony Six and Sony Six HD will provide live television coverage of the Australian Open in India. Where can I watch the free online streaming of Australian Open 2019 men’s singles final between Novak Djokovic and Rafael Nadal? The free online live streaming of Australian Open 2019 men’s singles final between Novak Djokovic and Rafael Nadal will be available on Sony LIV app and website. What are the head-to-head record of Novak Djokovic and Rafael Nadal? Both Djokovic and Nadal have met each other 52 times in ATP history with the former leading the head-to-head record 27-25 against the legendary Spaniard.